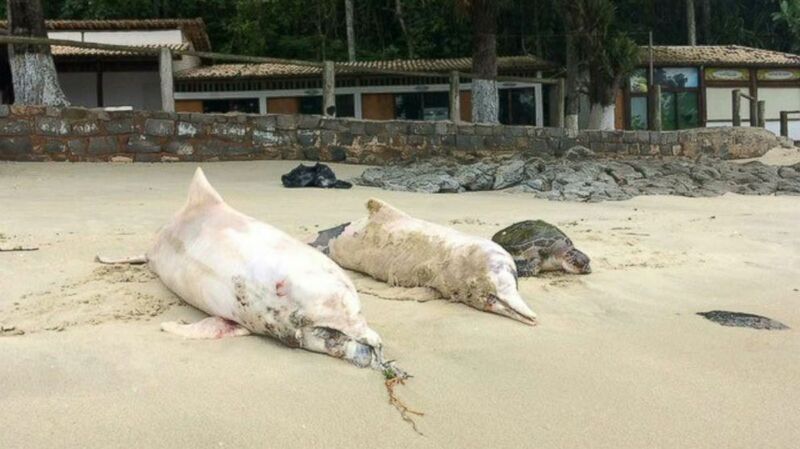 Brazilian scientists say a virus is the main cause for the death of close to 200 guiana dolphins in little more than 40 days on the coast of Rio de Janeiro state. The School of Oceanography of the State University of Rio de Janeiro said in a statement that an outbreak of "cetacean morbillivirus" is responsible for the death of more than 130 guiana dolphins in the Bay of Sepetiba since late November. The bay is about 45 miles (70 kilometers) west of the city of Rio de Janeiro. Another 40 dead guiana dolphins were found in a nearby island called Ilha Grande.